Meanwhile in the Vancouver Skate scene, tadalafil female skateboarders are multiplying, try filling the streets, local skateparks and ramps all over the city. 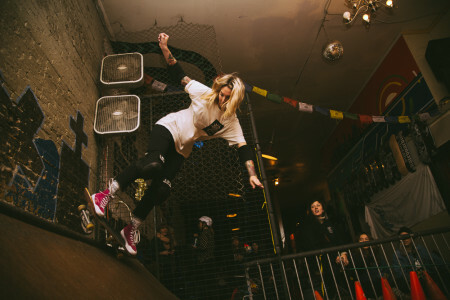 Kristen Landry “East Side Krispy”, is the creator of Chickflip, an all female skateboarding group aiming to connect female skateboarders in Vancouver BC and beyond. The goal of the group is to push female progression in skateboarding, spread the stoke among women in the community and encourage them to try it out. Kristen has partnered up with Melanie Mercier “Mels Bells” to expand the group. Since the new year, the group started hosting ladies skateboarding nights, and the group keeps growing! For more information visit their Facebook group or follow them on Instagram.